The Mercure Joinville Prinz hotel is located in the center of Joinville - the City of Princes, Dance and Flowers, on the famous Rua Otto Boehm. The hotel is just two blocks from the city's main shopping center (Mueller) and there are tourist attractions and shopping centers nearby. It also has easy access to the coastal resorts of north Santa Catarina and is just 6.2 miles (10 km) from the airport. Serra do Mar, rural tourism, the Bolshoi Ballet, a walk along Babitonga Bay, diverse gastronomy - there are so many things to enjoy! Follow the guide: the hotel's employees are on hand to recommend places to visit in Joinville. Bu otel Planet 21'e katılmakta ve Olumlu Konukseverlik lehine hareket etmektedir. 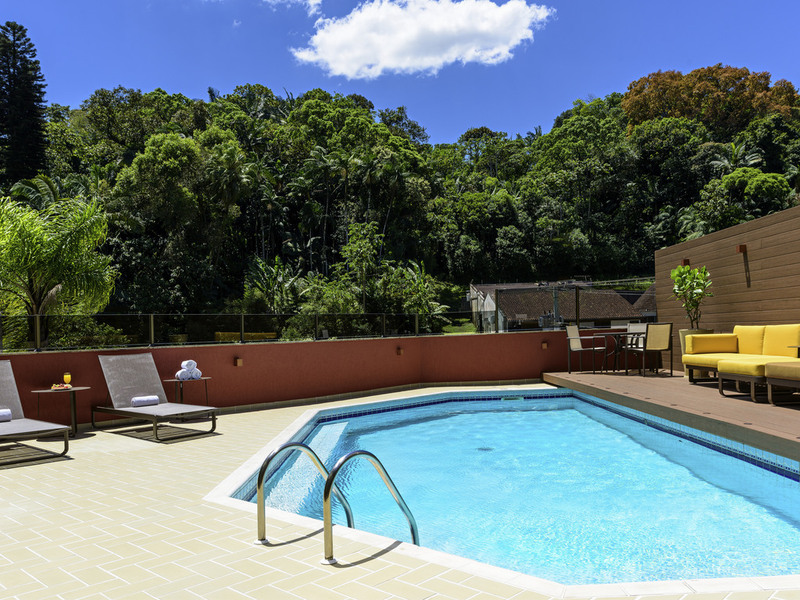 The Mercure Joinville Prinz has considerable sized suites, all 388 sq ft (36 m²), air-conditioned and equipped with Wi-Fi, cable TV, hairdryer and private safe. We also have suites for people with reduced mobility. Specializing in drinks and cocktails, as well as a unique space for meetings or informal get-togethers. Bar close to the pool with a snack menu for lunches, juices etc.